Today, we’d like to give you an overview of one of the top publishers we partner with on mindhub. If you are new to preparing for IT certifications, you might be asking yourself… who is MeasureUp? MeasureUp is a leading provider of certification practice tests and assessments for IT professionals. The MeasureUp practice tests provide the necessary tools to help you pass your exams. What IT certifications does MeasureUp provide practice tests for? What does the practice test include? Use Practice Mode to access questions, answers, explanations and reference materials. Review your score report to identify knowledge areas that need additional focus. Refine the Practice Mode experience by customizing domain objectives and/or selecting missed questions. 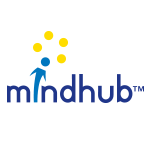 Learn more about MeasureUp Practice Tests and browse the available selection at mindhub. ‘I have used MeasureUp to help me pass 5 of the 6 required MCSE tests. I have passed each test the first time. I really believe that I would not have done so well if it weren't for the MeasureUp tests’.